Great End To an Enjoyable Day……. Fri….Oct 29, 2010……What started as a great day ended on the same note. Guiding Ian, Kari, and Joe Craig and we had just finished fishing a sulphur flurry and 40 later things slowed down, so we headed to lunch and then to another spot. The second area we went to I knew we could find some nicer browns and that is exactly what we found. Probably 8 or 10 more fish including one 18-19" brown that ate one of my size 20 Baetis emergers, two 16" fish that ate a CDC Jeffs Cranefly, and the rest that took either the BWO pattern or sparkle midge emerger. Quite a few bugs on the water, a good many nice snouts poking out……what a way to end yet another dry fly day on the South Holston. We will continue to do trips here all winter long, the sulphurs are still flying and the BWOs are getting cranked up so we will have a good dry fly opportunity all winter long. Have a great weekend! Another Day of Fall Splendor…..
Fri….Oct 29, 2010…….Red,yellow, orange…crunchy leaves, the pungent odor of moss, moisture, and a leaf covered forest floor…a babbling brook or quiet solitude of a Southern Appalachian stream, a heavy mast crop on the forest floor that is a harbinger of the winter to come….presenting a delicate dry fly to a rising trout, chucking large streamers (meat whistles) to large fish, the brown, yellow,red, and pumpkin orange colors of a prespawn hook-jawed brown trout…..these are the pleasures of flyfishing in our area in the Fall. Getting ready to partake of it and will be guiding Joe, Kari, and Ian Craig today. Looking forward to a great day today. Its chilly and breezy temps in the 40sF, fishing has been excellent and lots of leaves in the air—recent rains were beneficial but runoff or high water is a non-issue….looks like in a lot of places like it has hardly rained. Will be on TN Tailwaters and NC high country waters over the next few days. Romors have been from some shops and guides that sulphurs have fizzled out on the South Holston….not so…we will be fishing them today. Have a great Friday and weekend and we’ll have a report later today. 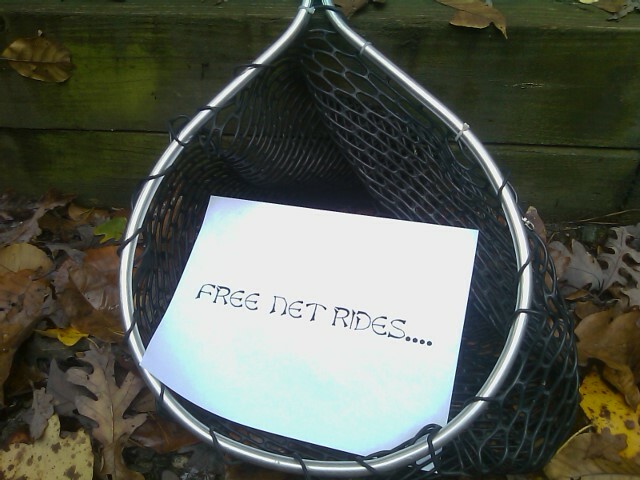 Great Morning after The Rain…..
A Simple Offer, Short and Sweet…. (unfishable)…wow. We have a big cool down coming, lows in the 30s and highs only in the low to nid 50s in the NC High Country on Friday. I always look forward to the onset of cool weather as it is big fish time. Headed out tomorrow and guiding Pete and Jane Gursky. 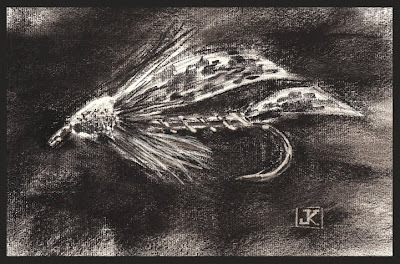 Should be a great day, cool, will have a fishing report on current conditions …have a great evening..! 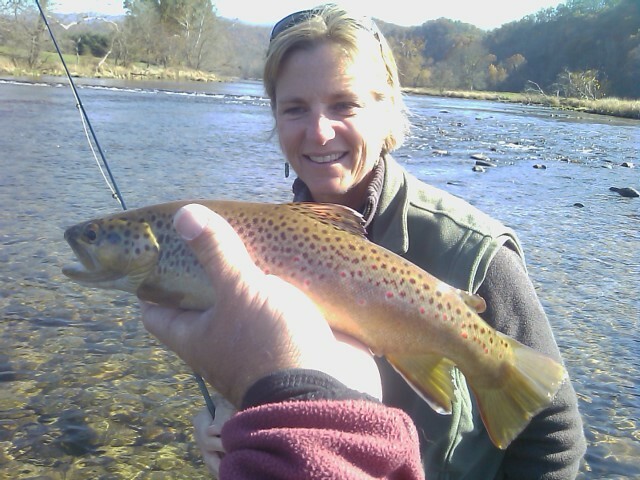 Tue…Oct 25, 2010…..Guiding Mike Witt on the South Holston yesterday we ended up with a good afternoon as well. 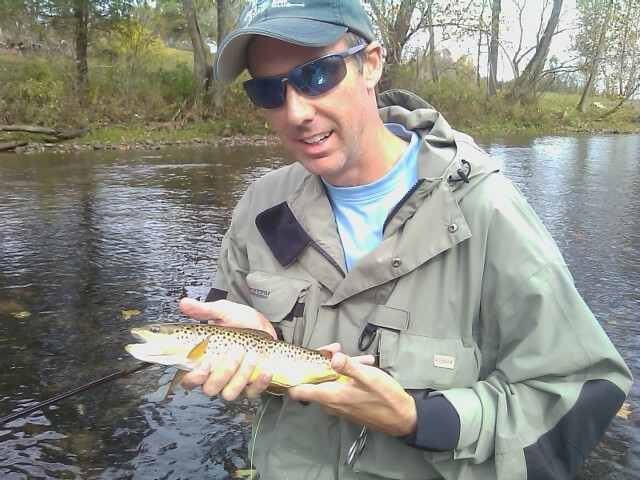 We had caught about a dozen and a half browns up to 16" all but one on dries. Blue winged olived were coming off everywhere—typical for such an unsettled weather day. 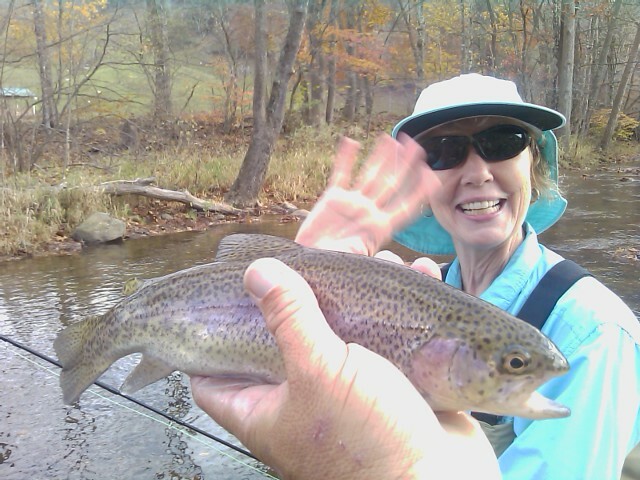 We nailed a few fish on one of my South Holston Trout bunny flies, one really nice fish. 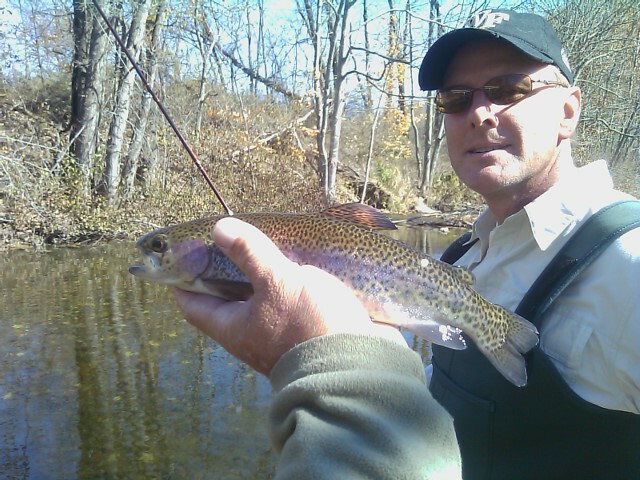 We took a lunch break, and then headed upriver to hopefully catch a sulphur flurry in the afternoon on falling water. 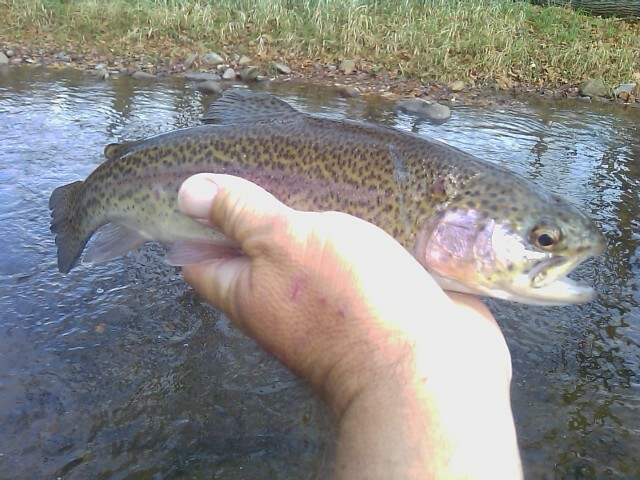 It was as exactly as I expected, on falling water bugs were coming off and fish were rising. We got into the river and I knotted a Jeff’s CDC sulphur emerger on the leader and Mike got three nice browns on four casts. It was fast and furious for the next 2 hours. 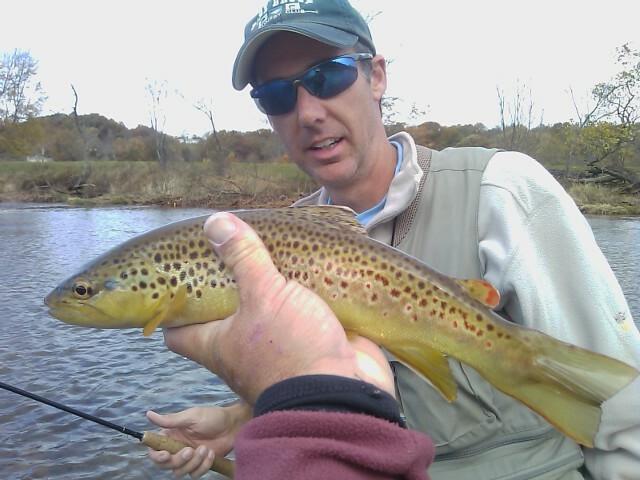 We caught probably 15 or 16 more, all nice browns and 1 rainbow. We ended the day catching a few fish on top and did so amidst another heavy shower. Did pretty well today on some new sulphur emerger patterns I have been working on, one in particular was incredibly effective. It was a great day and we endured every weather condition except snow….so that made it interesting………. 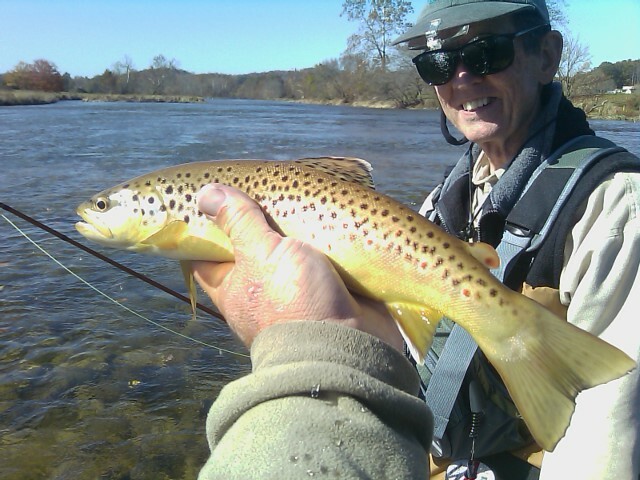 Great Day So Far Despite Stormy Start…..
Mon…..Oct 25, 2010……Great day so far guiding Mike Witt, on the South Holston, we had some really bad weather to start the day. Incredible Day on Dry Flies…..
Friday….Oct 22, 2010……chilly start to the morn’, scattered light frost in the High Country, looks like another nice Fall day. To say that yesterday was a great day would be a gross understatement. 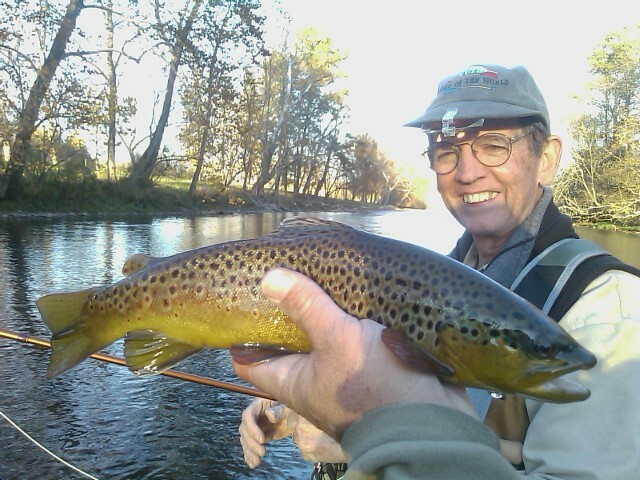 Guided Drs Randy Jackson and Bose Ravenel, we had a great day with between 50 and 60 fish all on dry flies, and lots of quality fish 15 " and over. 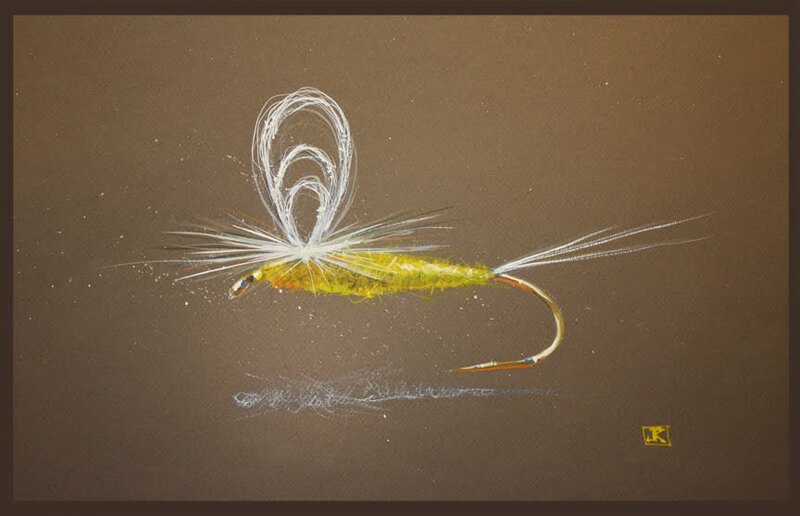 Fished sippers with midge emergers early, bwos late morning and midday, a nice sulphur flurry in the afternoon that lasted a couple hours, then we moved downriver and got into more small bwos and a cranefly spinner egg laying flight ….these two are happening daily on the lower river. It was simply an incredible day. Headed out this morning on another trip guiding Ken Doss….looking forward to another great day….more to come, have a great Friday..!